Introducing our new sock knitting kits, available in 5 different colours, all using our clever-clogs Kinda Magic yarn – because a leopard can totally change its spots! Fact: people wearing snazzy socks have more fun. 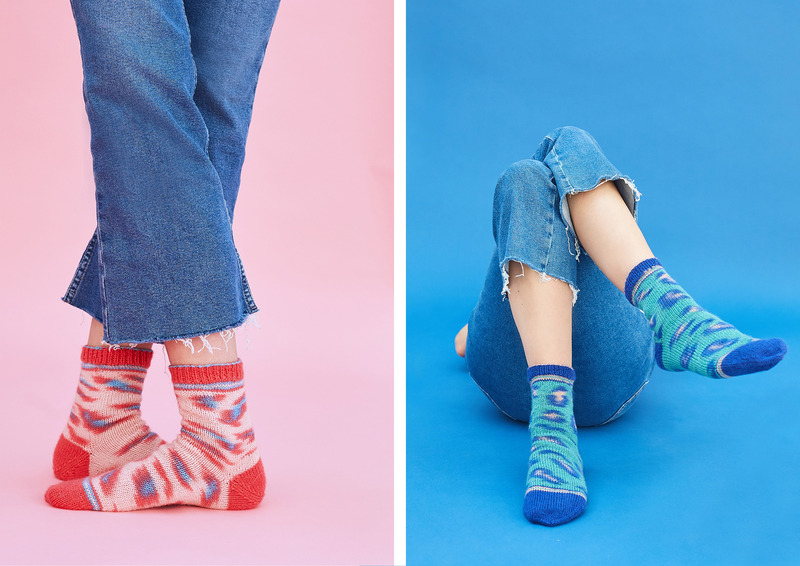 So, we’ve come up with our sock knitting kits that are all about walking on the wild side. With a little bit of help from REGIA (the world-leaders in sock yarn. 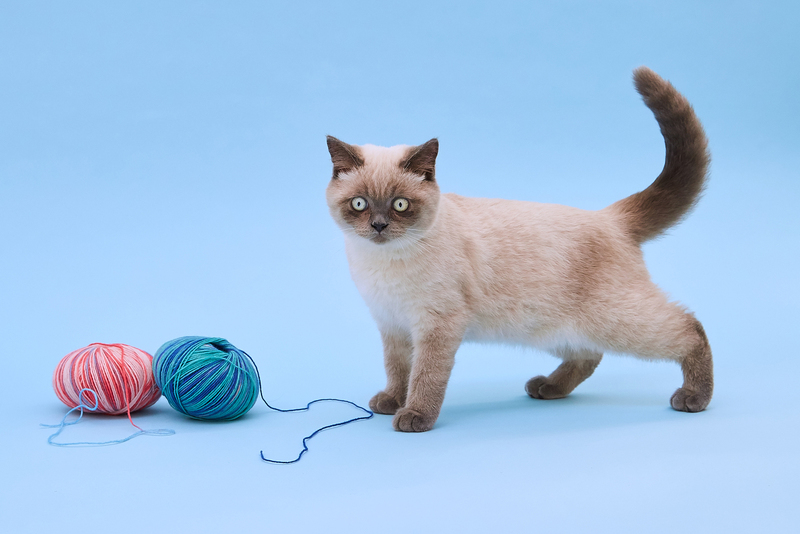 ), we’ve teamed up to release a brand-new self-patterning yarn – Kinda Magic. As you whiz through your knit, our leopard print pattern will start to show its spots, and then before you know it, TA-DAH – one pair of leopard print socks, as if by magic! 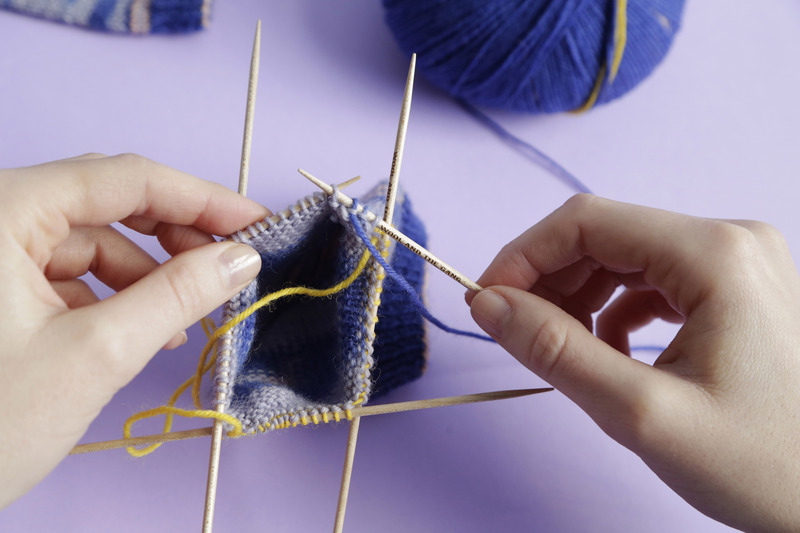 This is a kit for the more advanced knitter – double-pointed needles and shaping heels and toes can be a bit of a toughie. But don’t fret, we’ve been busy taking how-to videos to help you along the way. It’s also really important to get the correct tension in this pattern so we’re providing 3 sets of needles for you to get it just right. So whether your yarn’s wound up real tight, or sits a little on the loose side – you’ve got the right sized needles to get stitchin’. In your kit you will receive a set of 2.25mm (US1) , 2.5mm (US1.5) and 2.75mm (US2) double pointed needles, allowing you to find the set that works for you. Because of the precise design of these socks, you will only achieve this unique leopard print effect by following the Kinda Magic Sock pattern. About Schachenmayr REGIA These guys LOVE a good sock. Based in Germany, they have over 65 years’ experience in the bag of making the best-of-the-best sock yarn. They come with a 10-year quality assurance too – that’s how bloomin’ good they are. These guys know their sock stuff. Together, we’ve come up with one ball of yarn that has three colours in it and a purrrrfect amount of leopard print spots. It’s one brainy bundle. This kit is available in 5 different colours and contains 5 balls of yarn and creates 5 pairs of socks. So, there are 3 Kinda Magic kits in total – depending on how many pairs of snazzy socks you want to make! All you have to do is choose your kit, then choose your cat. You ready tiger? Oh, we mean, leopard.